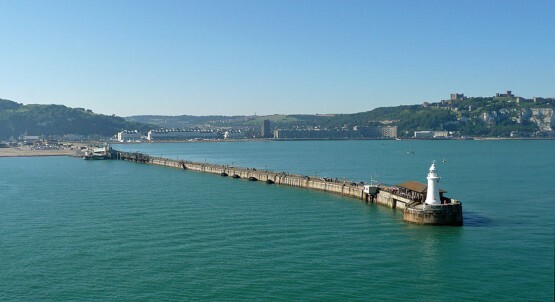 The Grade 2 listed Admiralty Pier at Dover Harbour was constructed in the 1870s with the intention of stopping the long standing issue of shingle shifting eastwards, the pier also had a railway laid along its length to allow various cross channel services, including the Golden Arrow, to draw up alongside the cruise ships. As part of the regeneration of the Dover Harbour, Kier Construction Limited were awarded the refurbishment project of the Admiralty Pier. Over 500m of high level concrete slab edge had severely corroded due to the marine environment attacking both the mass concrete and horizontal steel sheet piles supporting the cantilevered walkway. Their contract was to reduce the slab edge in width, carry out repairs and fit new handrails. Following a successful history of completed projects with Kier Construction, we were awarded the sub-contract to carry out both structural and cosmetic concrete repairs. 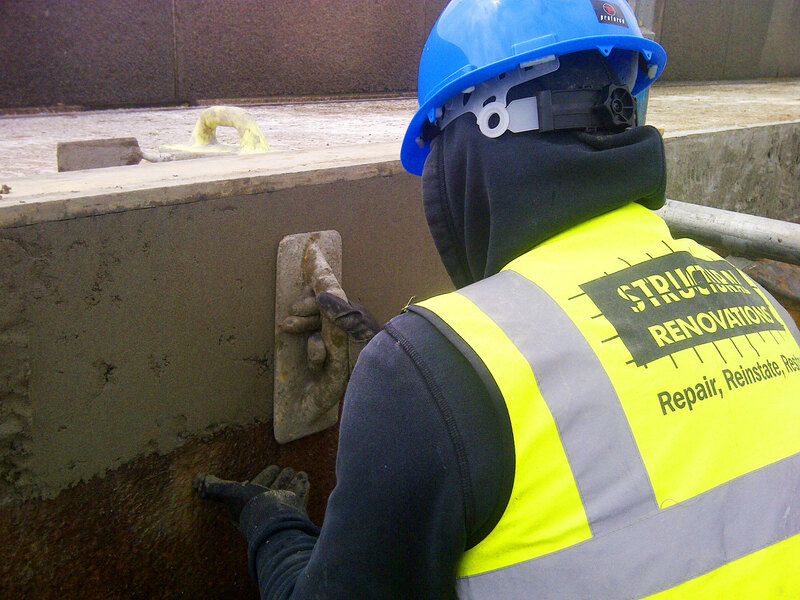 Once the demolition sub-contractor had completed the removal of a section of slab edge, we prepared the substrate by scabbling and grinding. Due to the severe marine environment that the finished works were to withstand, the prepared surfaces were treated with a Fosroc epoxy primer for additional protection. Timber forms were then clamped into place and reinstatement carried out with Fosroc Renderoc HB, a traditional polymer modified hand placed repair mortar. To complete the our works, an anticarbonation coating was applied to the repaired slab edge and expansion joints installed and sealed allowing the handrail sub-contractor to follow on with his works. Despite the challenges encountered with the spring time weather and wash from the passing cruise ships, the works were satisfactorily completed within the contract programme.